We all try to live within our means, but this can make us feel a little miserable like we are missing out on some of favourite things. Well, here’s how a little outlay upfront, can help you have little luxuries all year long, so when you feel the pinch you don’t have to feel like you are missing out on everything. Breakfast the most important meal of the day and actually breakfast allows us to have the most fun, think about maple syrup pancakes, soft and fluffy muffins, creamy scrambled eggs or a mountain of waffles and maple syrup. 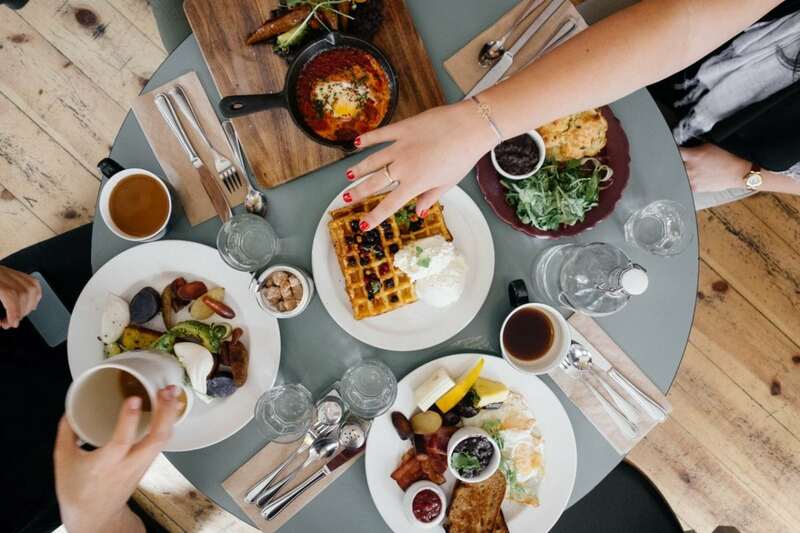 Going out for breakfast can be a great treat and a great social occasion, but is an indulgence that our budgets cannot always stretch to, so why not invest in a waffle iron, invite friends and family over and have some fantastic breakfast or brunch. There are lots out there but think about the type of waffle you want and you’re away, the SAGE by Heston Blumenthal lets you select from Classic buttermilk, Belgian or Chocolate and set your own waffle styles, enjoy an amazing breakfast, or a great desert. So, you have your breakfast set up but you need an amazing cup of coffee to wash them down, but a good cup of coffee is hard to come by and our love affair with coffee shops sometimes is a little too expensive for our budget then think about investing in a really good quality coffee machine, meaning you can enjoy your favourite beverage at any time of the day. There are many options, but if you have fussy coffee drinkers or you have a preference at different time of day then a machine like a Nespresso can be a great option. You can save cash by filling in a travel coffee mug but you can also indulge in a good cup all day long. Think the pods are a little expensive there are amazing alternatives to Nespresso and Nespresso compatible capsules available giving you a great taste and actually working out quite cost effective. The gourmesso compatible pods have good quality coffee with a reasonably priced selection. There is nothing better sometimes than settling that hunger pang with some good quality read and a great filing and stringy, gooey cheese, such a comforting flavour. Lunch can be expensive though especially if you and your partner or children all want something different. When on a budget little spends can all mount up, therefore a really good quality , deep filled sandwich machine and fill you and your family up till dinner. These deep filled sandwiches help you minimising waste of course as you can pretty much stuff the sandwich with whatever you want or have left over. Buy them all or just one but this handy little gadgets can save money in the long run, you’ll be surprised at how often you use them and they can let you indulge and treat yourself even if the weekly budget doesn’t allow you to do so. Next PostAnyone for fish fingers and beer at this Southwark festival?